It’s May and we are about two months away from the 104th Calgary Stampede. You may have been sitting on the proverbial fence about doing anything Stampede related or any Calgary Stampede Events for your organization. While two months might not seem like a lot of time to plan, I have some suggestions for how your company can still be a part of the action without necessarily breaking the bank to participate. First and foremost, there are some very notable parties that happen during the 10 days of Calgary Stampede. The following examples could be booked for just a handful of people – and for upwards to a few hundred plus attendees! Some VIP experiences are still available. These allow you to have food, beverage and entertainment all under one roof! Premium seating venues will provide your attendees with access to the Stampede Rodeo, GMC Rangeland Derby and TransAlta Grandstand Show! Are you trying to keep your Calgary Stampede Events family friendly? Take a step back from the grounds and consider a trip out to Heritage Park. This historical playground provides a number of options for corporate Stampede parties that the whole family can enjoy: http://www.heritagepark.ca/bookings-and-functions/venues.html. Another option you could consider leveraging an existing event. Perhaps if your organization belongs to an association that may be hosting an event – you could simply buy tickets to and take your important stakeholders as your guests. 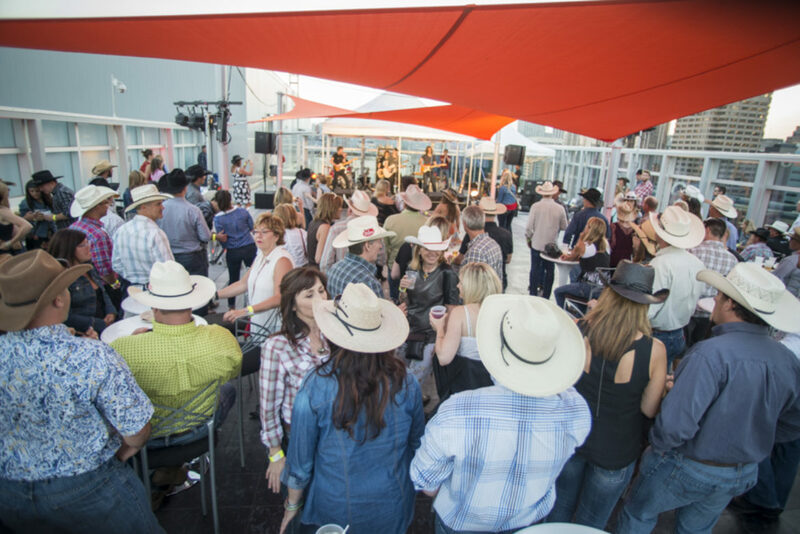 Corporate Calgary Stampede Events come in all sizes and it’s all customizable. Consider when booking any of these venues, that you consult an event professional who can help you get the biggest bang for your buck. We have great ideas regarding how best to take an “off the shelf” Stampede event and make is as unique as your company!